When I purchased the combo of Garnier Fructis Goodbye Damage Strengthening Shampoo and Conditioner, I was totally in love with the vibrant orange packaging of the products. I’ve already reviewed the shampoo, which has been working fairly for my dry and damaged hair. Now, it is turn of the conditioner. Continue exposure to heat, pollution, dirt and dust spoil your hair? With regular use of Garnier Fructis GoodBye Damage Strengthening Conditioner, say ‘Hello’ to beautiful hair! 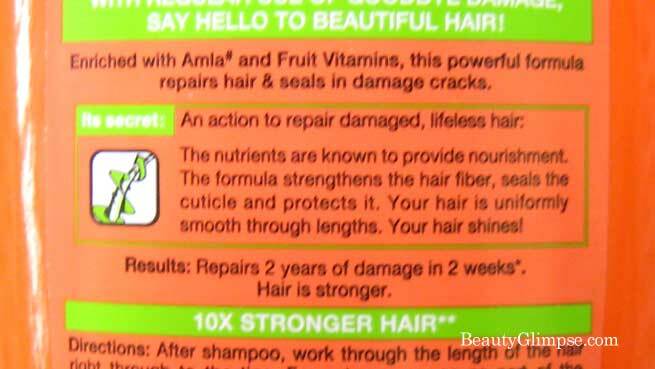 Enriched with Amla + Fruit Vitamins and Nutrients, this powerful formula repairs hair & seals in damage cracks. It is voted ‘Product of the Year – 2014’ by the ‘Consumer Survey of Product Innovation’. An action to repair damaged, lifeless hair: The nutrients are known to provide nourishment. The formula strengthens the hair fibre, seals the cuticle and protects it. Your hair is uniformly smooth through lengths. Your hair shines! Repairs 2 years of damage in 2 weeks*. Hair is stronger. [*Instrumental tests – oil + shampoo + conditioner + serum – 3 applications per week. Hair fibre surface state evaluation. Water, Cetearyl Alcohol, Behentrimonium Chloride, Cetyl Esters, Niacinamide, Sugar Cane Extract, Hydrolyzed Vegetable Protein PG-Propyl Silanetriol, Phenoxyethanol, Trideceth-6, Chlorhexidine Digluconate, Limonene, Camellia Sinensis Leaf Extract, Linalool, Benzyl Salicylate, Benzyl Alcohol, Amodimethicone, Isopropyl Alcohol, Fragrance, Apple Fruit Extract, Pyridoxine HCI, Citric Acid, Butylphenyl Methylpropional, Cetrimonium Chloride, Citronellol, Lemon Peel Extract, Hexyl Cinnamal, Phyllanthus Emblica Fruit Extract. (C165969/5). After shampoo, work through the length of the hair right through to the tips. For extra care, use as part of the complete Fructis Goodbye Damage range. Rs. 130 for 175 ml. and Rs. 69 for 80 ml. 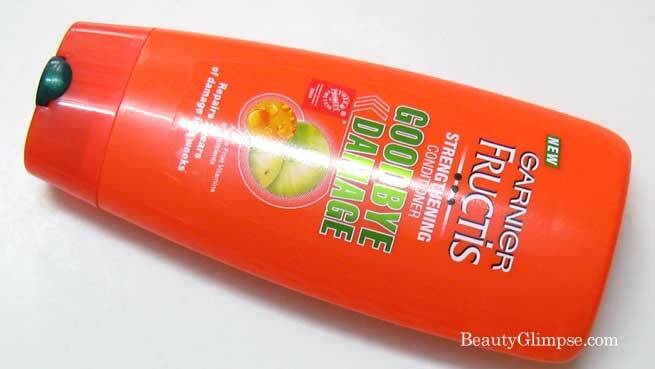 The packaging of Garnier Fructis Goodbye Damage Strengthening Conditioner is exactly similar to that of the shampoo. 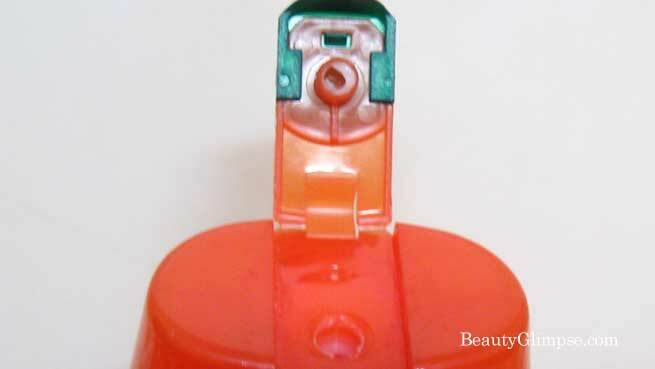 It is also a bright orange-colored eye-catching bottle with a unique shape. There is a small, dark green flip-open cap at the top, which is quite tightly set on the opening. 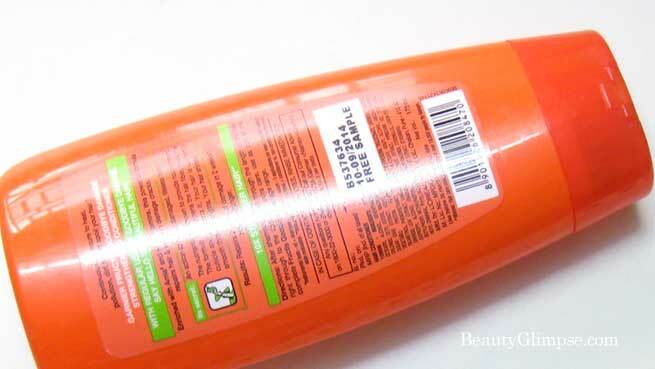 You can find all vital information printed on the body of the bottle in black, white and green. It is a leakage-proof packaging that can be taken with us everywhere. But as usual, you can’t check how much product is left inside from outside. The conditioner has a milky white color and a mild fruity smell just like the shampoo. Being very lightly fragranced, it doesn’t leave a long-lasting aroma on the hair. However, it may be a plus point for people with sensitive noses. 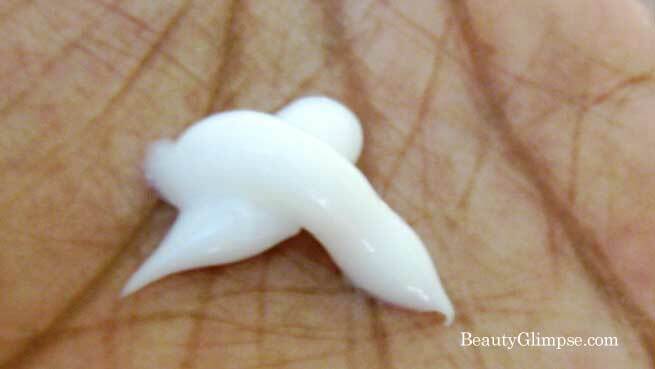 The texture of the product is smooth and creamy, while the consistency is considerably thick. The buttery creamy texture of the conditioner makes its application extremely easy. It also comes off easily with water and I need only a couple of wash for this. The effects of the conditioner are really great and I’m loving it. I use it every time I wash my hair with Garnier Fructis Goodbye Damage Strengthening Shampoo and it usually happens thrice every week. Though I couldn’t feel any difference in my dry, frizzy and severely damaged hair at first, the results became visible after a couple of weeks of application. It has made my hair quite smooth and soft. The dryness has reduced greatly and the frizziness has become under control. I don’t need to worry about flyaways now as they are tamed well and this product does all these without weighing my hair down. However, it doesn’t add shine to dull hair and you should never expect to get rid of the damages of 2 last years in just 2 weeks. Yes, do try it. This conditioner is a good choice for dry and damaged hair and you will love the result for sure.